I am giving you the ministry of John the Baptist. The next morning, there was a knock at the rectory door, and then the secretary called for me. An elderly man stood there, his hand extended after our greeting. This invitation, he later noted, would be marked by the need for both faithfulness to the Holy Father and Christ’s Church, and a certain martyrdom in stepping forward in a prophetic way to announce the coming Dawn. 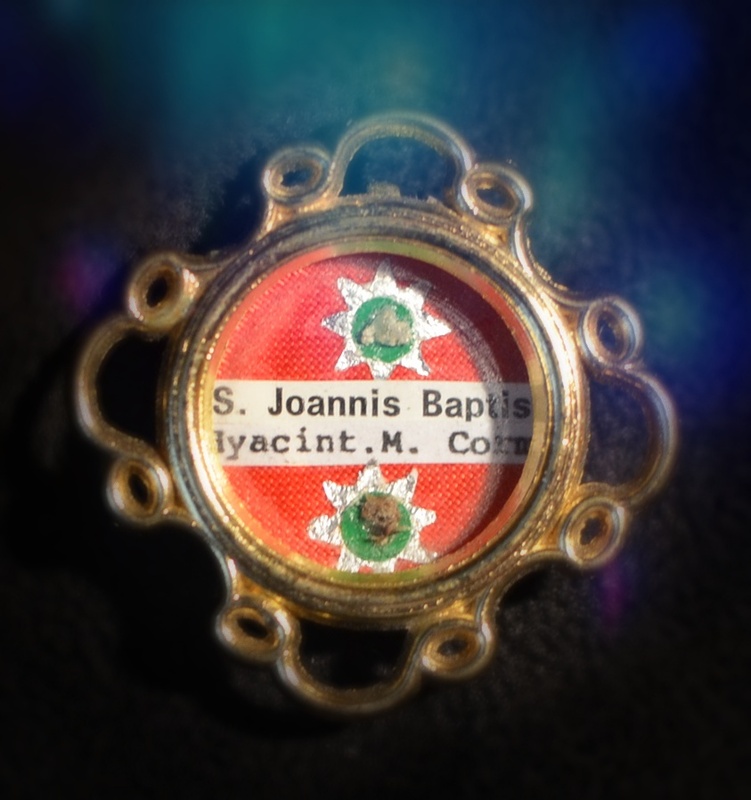 Perhaps it is no coincidence, then, that there was a second relic enclosed with John the Baptist, that of the Polish martyr St. Hyacinth. He was known as the “Apostle of the North”. I live in Canada… and my grandfather is Polish. I was overwhelmed as I held in my hand a bone fragment of John the Baptist—the same bone that “leapt” in the womb of Elizabeth over the greeting of Mary. The same bone that was stretched forth to baptize Jesus, Our Saviour and Lord. The same bone that stood firm in the faith as the Baptist was beheaded at Herod’s command. 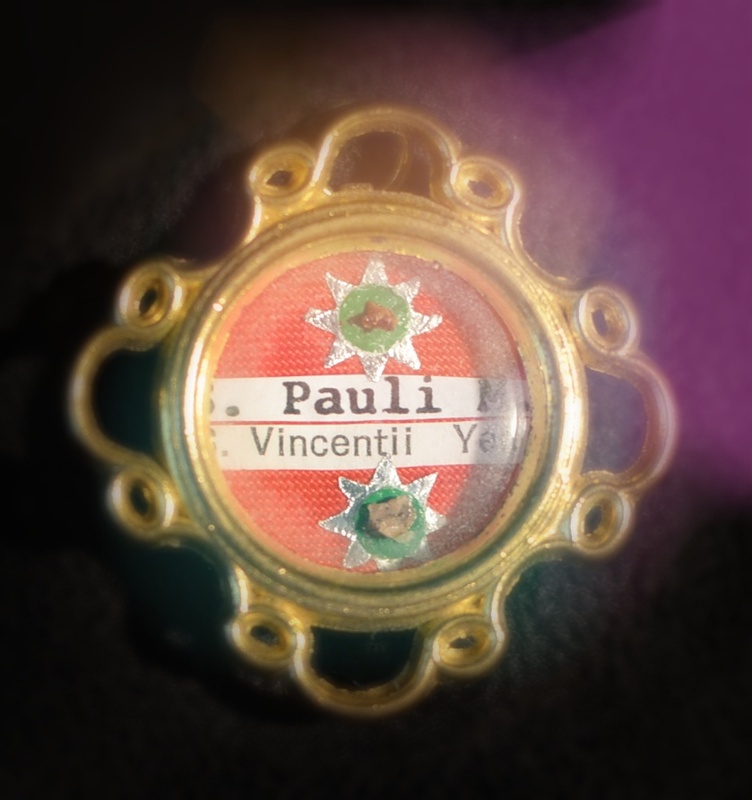 And then that elderly man placed another first class relic into my palm that moved me no less: St. Paul the Apostle. A source of constant inspiration for me, Paul’s words inform and shape the warp and woof of my ministry, which is part of the “new evangelization” frequently invoked by his namesake, St. John Paul II. If the “new evangelization” is to prepare the world for “the coming of the sun who is the Risen Christ”, then Divine Mercy is the heart of the message at this hour. This was underscored when I was invited to speak at a community in Upper Michigan. Sitting to my right was an elderly priest. Twice during the retreat that day, he asked me to visit him in his hermitage on top of a cliff. His name was Fr. George Kosicki, one of the “fathers of Divine Mercy” who helped to translate and footnote the Diary of Faustina. Someone from the community drove me to his hermitage where Fr. Kosicki handed me all the books he had written and said, “From now on, I will call you ‘son’.” He gave me his blessing, and we parted ways. When I arrived at the bottom of the mountain, I turned to my driver and said “Wait a minute. Bring me back there.” Fr. George greeted us again on the porch. 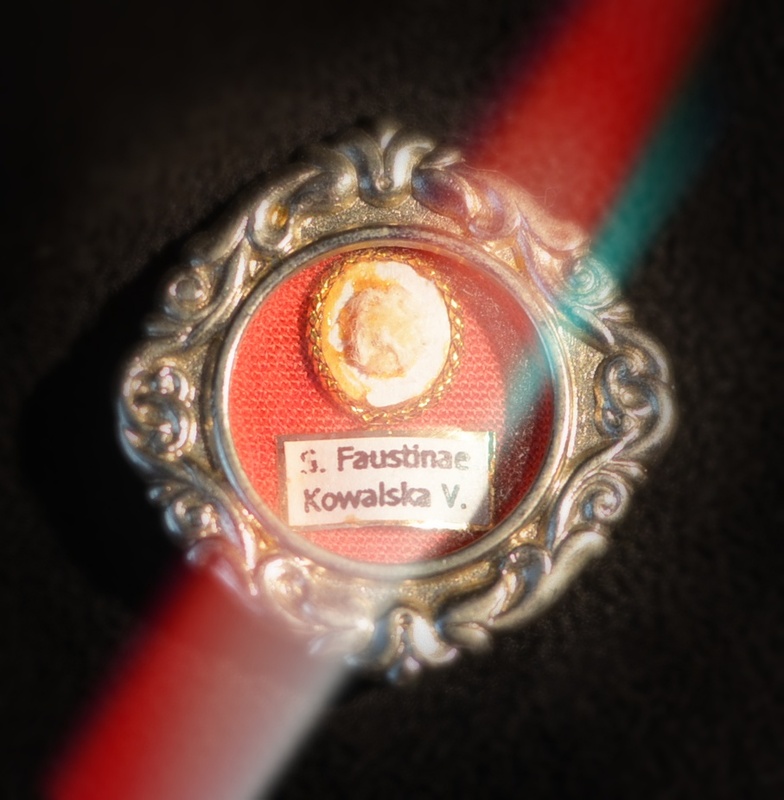 With that, he took a first class relic of St. Faustina into his hands and blessed me a second time. I descended the mountain in silence, pondering these things in my heart. It would soon become apparent in this apostolate that to announce the coming Dawn also meant preparing souls for the darkness that would precede it. That to announce a “new springtime” meant preparing for the winter before it. And that to preach Divine Mercy also meant warning that it could not be taken for granted. Being a “watchman” for Christ means standing on the Wall of Reality. It isn’t sugarcoating the precarious times we live in, nor is it obscuring the hope that lies beyond. While preaching in Toronto, Canada several years ago, a man who has collected and preserved hundreds of relics approached me. 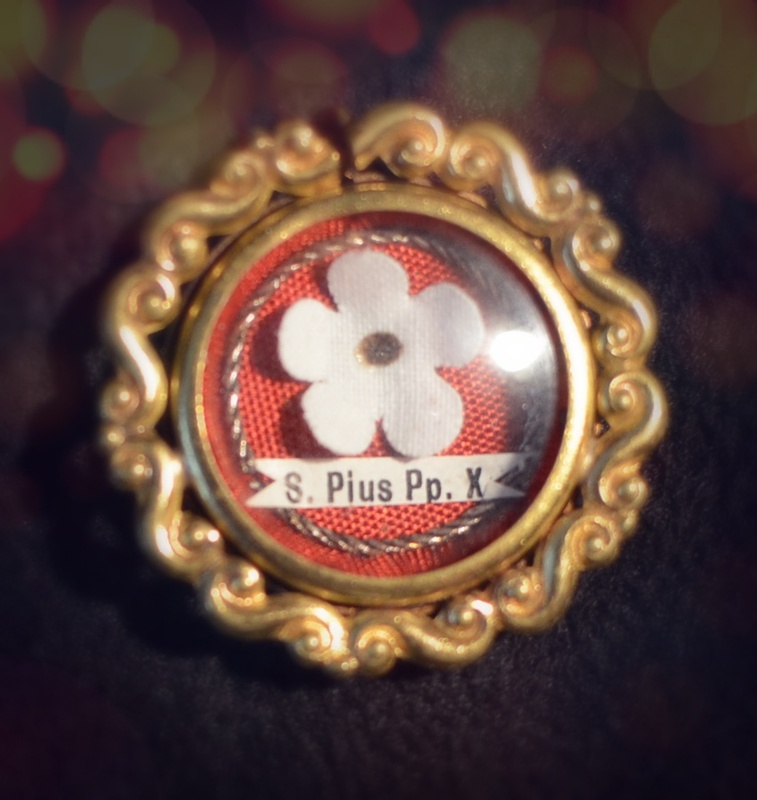 “I prayed about which relic to give you, and I felt it should be this one.” I opened a little reliquary case, and inside was a bone fragment of Pope St. Pius X. I immediately knew the significance. St. Pius X is one of the few popes in the last century to explicitly interpret the “signs of the times” as possibly including the appearance of Antichrist whom he felt could already be on earth (see Antichrist in Our Times). This is a subject that remains a great mystery, but one that seems to be coming ever more into focus. For when taking all the words of the popes, Our Lady, and the mystics of the past century into account, and placing them into the teachings of the Church Fathers along with the “signs of the times,” a picture emerges of a Great Storm that includes the likelihood that an Antichrist will appear before we will realize “a world in which justice and love reign” (see Is Jesus Really Coming?). In a word, we are approaching the Day of the Lord. Knowledge of our times, or even knowledge of Our Lord’s mercy and love are not enough. We need to believe and receive these words, internalizing them through faith. 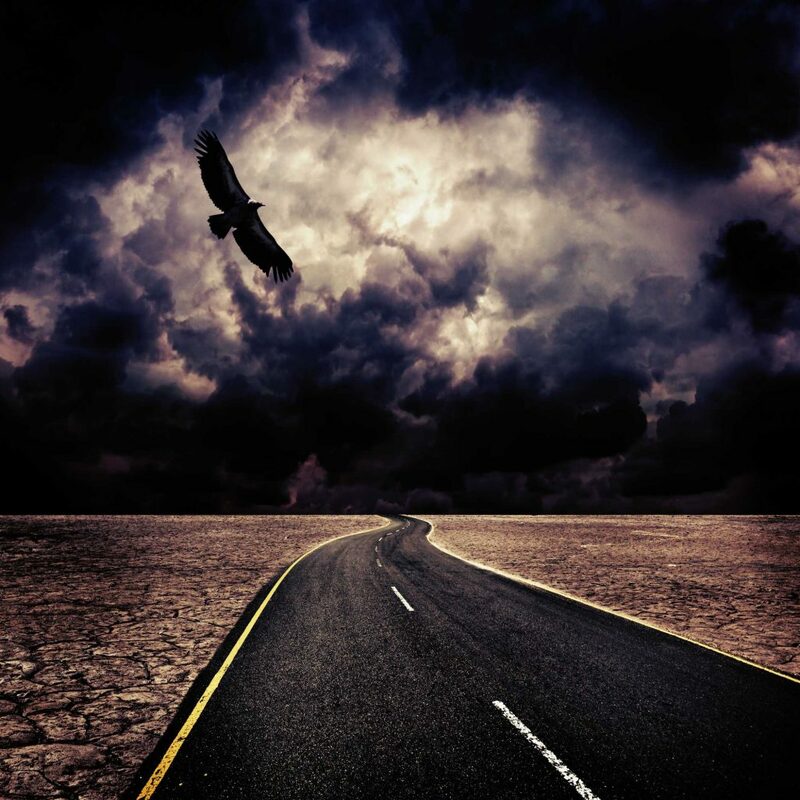 It implies that, with great care and even haste, we must build our lives on the solid rock of God’s Word, even as the world continues to erect its illusions on the shifting sands of relativism, which will inevitably collapse. 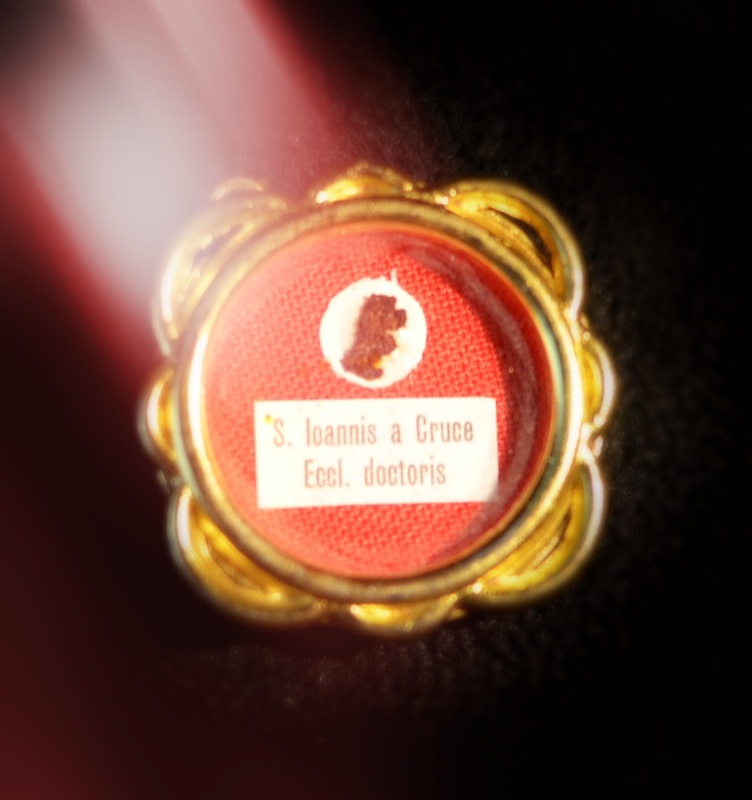 Thus, my relic of St. John of the Cross bears a great significance, since it was he who expounded most beautifully upon the importance of the interior life: a life of prayer and self-renunciation that involves the purification of the senses and the soul in preparation for union with the Creator. In closing, I recall the day I was sitting across a table from Monsignor John Essef in Paray-le-Monial, France. It was there that Jesus appeared to St. Margaret Mary, revealing His Sacred Heart to the world… the prologue to the message of Divine Mercy. Msgr. Essef was the spiritual director of Mother Teresa; was himself directed by St. Pio; and is directing my own spiritual director. I was quite elated to learn this since I had felt St. Pio’s presence very strongly at the beginning of this writing ministry some twelve to thirteen years ago. 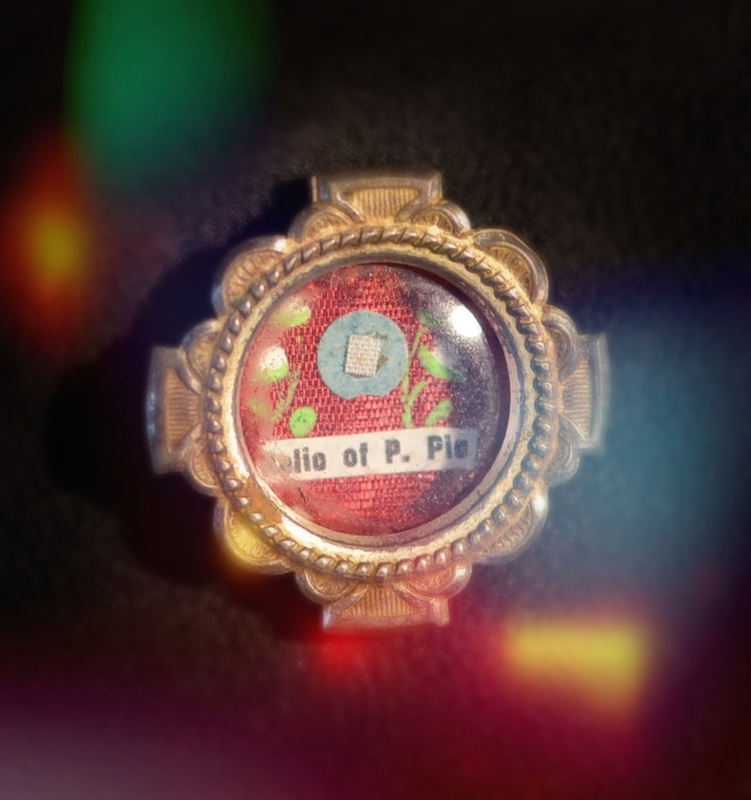 Later, someone would, again, place a relic in my hand, this time of Pio of Pietrelcina. I end with this story because, in some indirect way, St. Pio is probably touching all of you who are reading this. No, not probably. He and all the saints are with us in a very close way since we are all the “body of Christ.” Yes, they are closer to us now then they were in life because, through the Mystical Body of Christ, our union is even more real, more sublime. And so make a point of invoking the intercession of the Saints this year, most especially Our Blessed Mother. In this Final Confrontation, we have an army behind us, ready, willing, and waiting to assist us by their prayers and the special graces they have merited through the Cross of Christ, on our behalf. This apostolate depends upon your generosity more than ever.